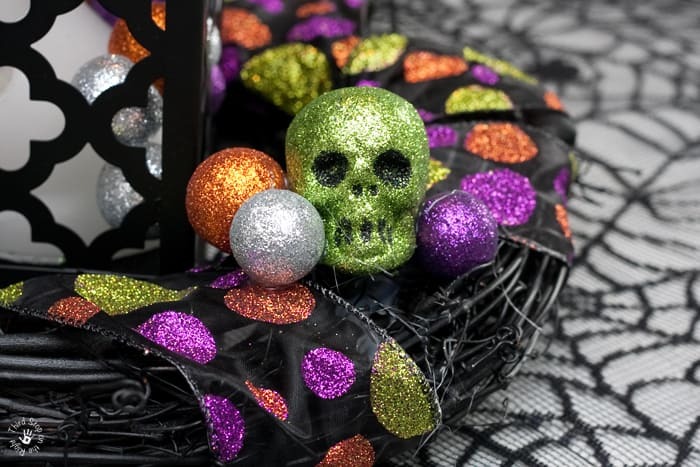 It’s no secret that I love decorating for Halloween, but I tend to be more of the person who loves inside decorations as opposed to decorations on the outside of my house or in the yard. This year, I decided I wanted to make a Halloween lantern table centerpiece to compliment the door wreath I made last year. 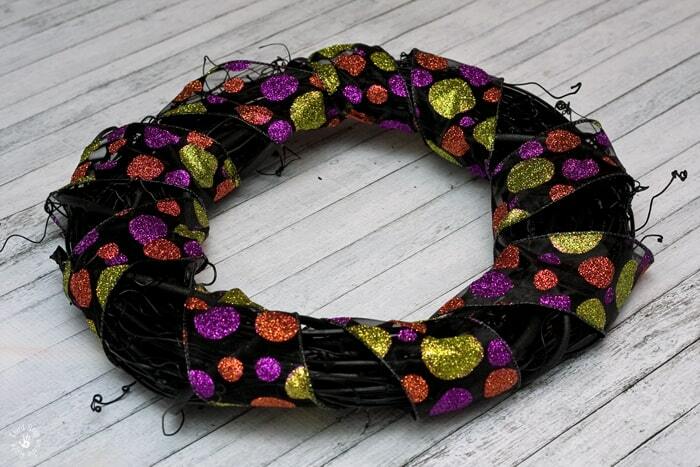 I started with a simple grapevine wreath that I purchased at the craft store and painted it black. 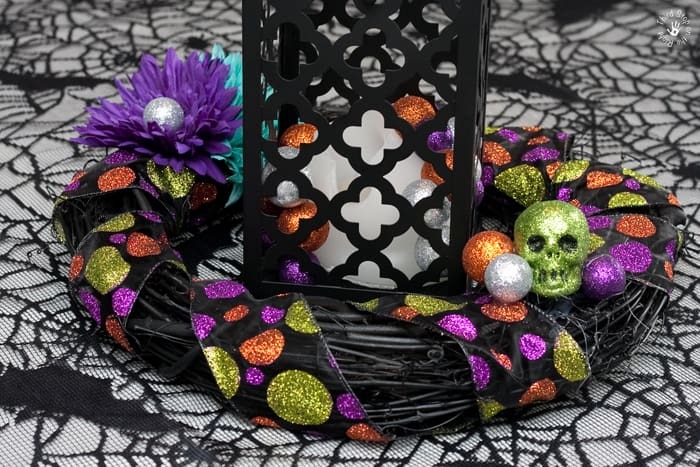 I then used some sparkly black, pink, orange, and green Halloween ribbon and wrapped it around the edges of the wreath. Be sure to leave some of the grapevine wreath showing. Since this is meant to be more of a festive wreath as opposed to something scary, I attached two Gerber Daisies — on in turquoise and one in purple. 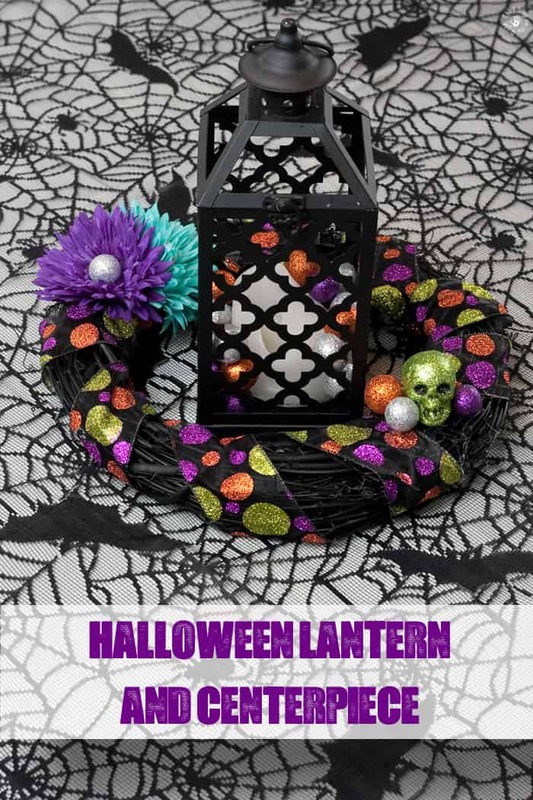 I picked up a pack of floral embellishments that I planned to use for both the wreath and the lantern. I used two of the silver balls and glued them into the center of the flowers. I then added some of the balls and also the miniature skulls to the outside edges of the wreath. 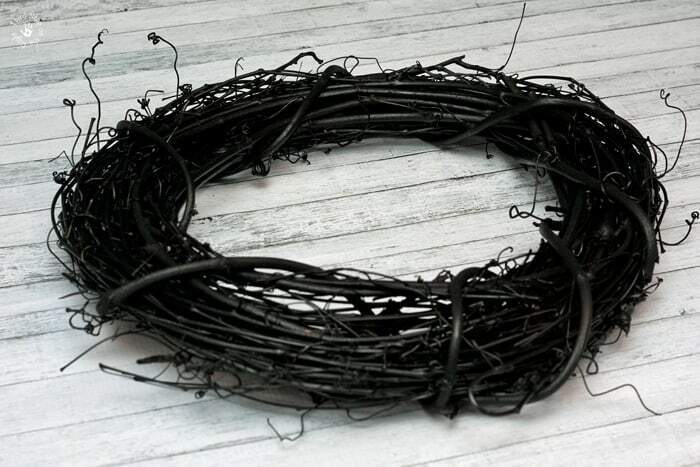 I already had a black metal lantern which was perfect for putting in the center of the wreath. I had a pillar candle that I was about to throw away because it melted in the window and distorted, but I realized that it would be perfect for the project. I put it inside the lantern and added some more of the floral embellishments around it. This centerpiece is the perfect addition to a dining room table, side table, or even for in a window. It is sure to get you in the Halloween spirit! 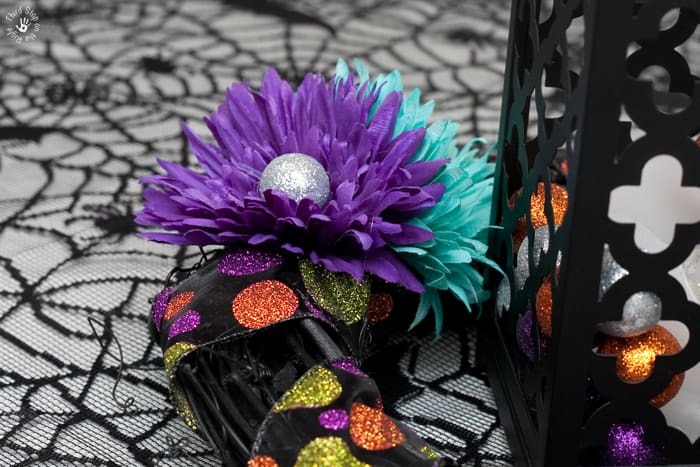 If you are looking for even more Halloween decorating inspiration, check out some of my other Halloween blog posts!